Wanda Yohn’s life has taken her to so many interesting places—from her farm in New Mexico to snow-covered mountains in Central Oregon to the presidential library of John F. Kennedy to Westminster Abbey to the Coliseum in Rome. She has sat on the steps of the temple in Jerusalem; rode a camel in Jordan; skipped on the Great Wall of China; snorkeled on the Great Barrier Reef in northern Australia; visited the Anne Frank House in the Netherlands; experienced giant sequoias and wondrous azaleas in California; viewed great art in many museums; marveled at God’s handiwork in Alaska; and so much more. 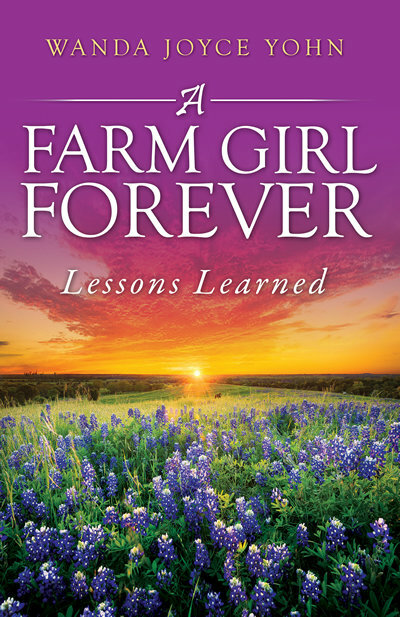 In A Farm Girl Forever, Yohn shares many of her life experiences, lessons learned, things she is thankful for, inspirational quotes, Bible truths—things that have helped her achieve success and contentment. So come along; you’ll surely enjoy this farm girl’s journey.